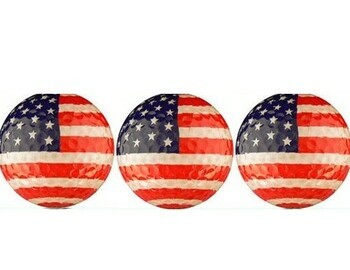 Memorial Day weekend has become an increasingly popular weekend for golf as the years have gone by. Every year the PGA Tour hosts the Memorial Tournament held in Dublin, Ohio which is just outside of Columbus. Some are aware, but others are not, that the tournament was founded 39 years ago by Jack Nicklaus. Columbus is where Nicklaus was born and raised, learned the game of golf, went to college, and where he decided to start his own family. It was his vision to create a golf club that embodied his personal and professional life and to create a golf tournament that would long represent his passion for tournament golf. His vision was fulfilled in May of 1976 with the first ever Memorial Tournament at Muirfield Village Golf Club. The Memorial Tournament is one of only five tournaments given "invitational" status by the PGA Tour, and consequently it has a reduced field of only 120 players. Even though the actual tournament is played the week following Memorial Day, it is still a wonderful representation of an individual’s true passion and commitment to this great game that we all love. Come out to 1757 Golf Club and practice this Memorial Day Weekend and then tune in from June 1st to June 7th for Jack Nicklaus' annual Memorial Tournament at Muirfield Village Golf Club in Dublin, Ohio.